In July I attended and presented at the Universities Federation for Animal Welfare - International Animal Welfare Science Symposium, Zagreb, Croatia. It was an insightful and eye-opening meeting. Whilst somewhat depressing, as it forced acknowledgement and thought on the multitude of suffering we, the human species, place upon individual members of fellow animal species (both deliberately and through neglect), it also promoted hope and encouragement. That a society such as UFAW exists, and the gathering of interested parties at the Symposium, highlights the concern and motivation of both individuals and organisations for change and improvement in the welfare of animals, be they wildlife, livestock, or pets. There were many pointers to a future with enhanced standards of animal welfare. Various ethical conundrums were placed before us. Is it better to make one or a few animal suffer a lot in order to free many others from suffering, or better for lots of animals to suffer a little? Do we need livestock intensification to meet the meat demands of an increasing human population? Why is culling excess zoo animals (management euthanasia) culturally unacceptable when the alternative is to compromise welfare by preventing breeding and/or housing an ever expanding population of surplus animals (likely in poor or cramped quarters). The latter would deflect resources from the conservation role that managed captive breeding programs profess to aim to fulfil. Death may be an ethical issue but is not necessarily a welfare issue; the early kill (cull or euthanasia) of dairy bull calves is a case in point. The Symposium was followed by a meeting of the Humane Slaughter Association. I did not attend that meeting (my focus is wildlife), but what an important and overlooked role it plays. 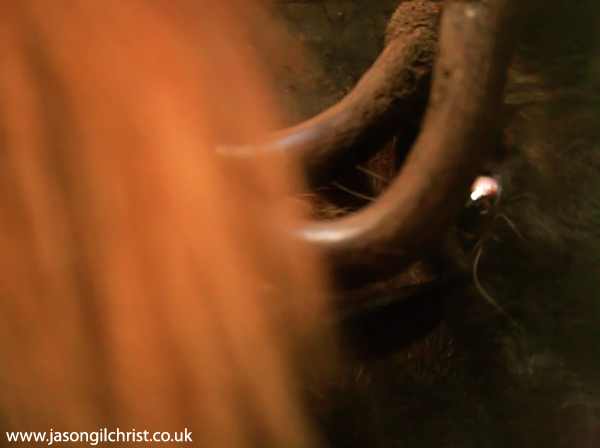 The welfare of animals in death is often overlooked and greatly undervalued. We (society) prefer not to think about or discuss such things, but if we accept that we must kill animals to eat (and enjoy) meat and dairy products, then we should commit ourselves to maximising the welfare of those animals during life and death. My own presentation, based upon my experiences in South Africa, focussed on the potential of wildlife ranching to both sustainably supply meat to human populations and simultaneously conserve wild animal populations [and with them, more natural habitat than domestic livestock enables]. However, with wildlife ranching, come compromises to natural ecosystem structure and function, and wildlife ranching introduces factors potentially detrimental to animal welfare and productivity. 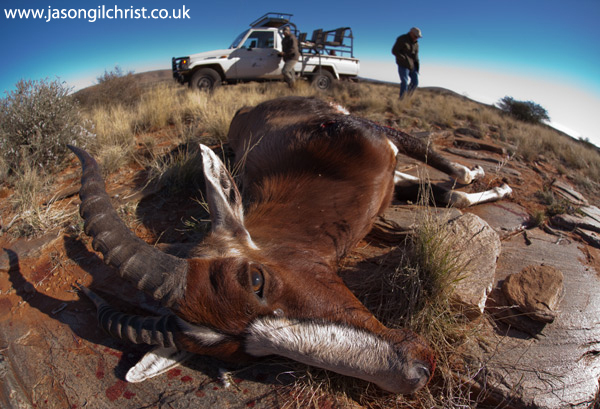 The demand for game for kill (via trophy and biltong hunting) and fresh stock for wildlife reserves, and the general lack of large predators on game reserves, fuels the wildlife translocation industry. Game animal capture and transport involves procedures physically and/or psychologically demanding of the animals. Game animal kill, whilst controversial and emotive, and often gaining social disapproval is arguably not a welfare issue. In an ideal scenario (and it is not always ideal), the target animal lives a long wild life, and then is a clean kill (i.e. killed quickly and as painlessly as possible). In my presentation, I put forward some provisional results to demonstrate the aims and potential use/value of physiological data in informing and improving wild animal health and welfare in capture and cull. Watch this space – as data analysis proceeds there will be more to come. The images shown below highlight welfare issues from my personal experiences with wildlife. Black wildebeest (Connochaetes gnou). This image was taken post-capture. The wildebeest were herded by helicopter, coralled in 'the crush' and then loaded onto a translocation truck. The photo was taken into the truck, where the angry eye of the wildebeest on the right signals an unhappy wildebeest framed by the tail of the wildebeest (on the left) whose rump the former was jabbing its horns into. Wildlife capture and translocation can be stressful to the animals and may compromise the welfare and productivity of the animals. Blesbok (Damaliscus pygargus phillipsi) post-kill. This animal was shot for trophy. Although trophy hunting is ethically controversial, a clean (quick) kill is arguably not an animal welfare issue. A captive Vervet Monkey (Chlorocebus pygerythrus) behind bars. We need to ask questions of the welfare implications of keeping wild animals in captivity in perpetuity. 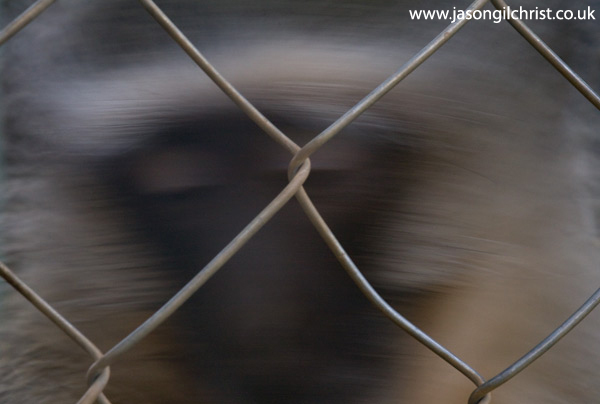 The header image of a lion behind bars (click Blog if you cannot see it) was taken at a lion farm, a breeding facility where Lion (Panthera leo) are (re-)produced for hunting reserves. Enclosure space was limited and I have never been so close to such aggressive captive but clearly 'wild' animals. The issue of lion farming is one of ethical and welfare concern. To learn more about the important work of UFAW and the Humane Slaughter Association visit their websites by clicking below.